Ugh, bloating, that discomfort you feel when your abdomen seems stretched, distended, tight, or just plain full – of gas, of food, of you’re not sure what! You can also help say “bye-bye” to bloating by maintaining the beneficial balance of microorganisms in your digestive system. 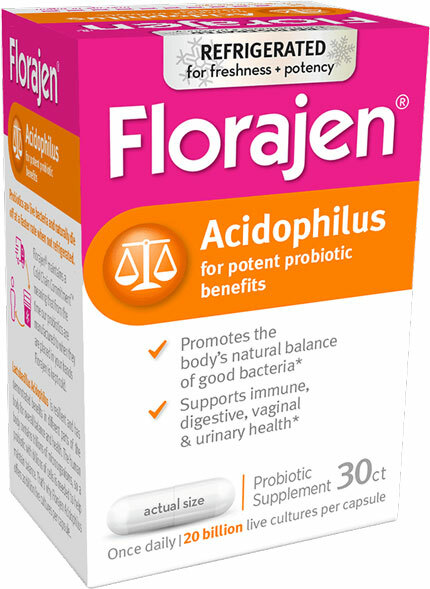 By taking probiotics, you can nurture your natural bacterial colonies and support their growth, especially if they’ve been disrupted by antibiotics, illness, or other factors. 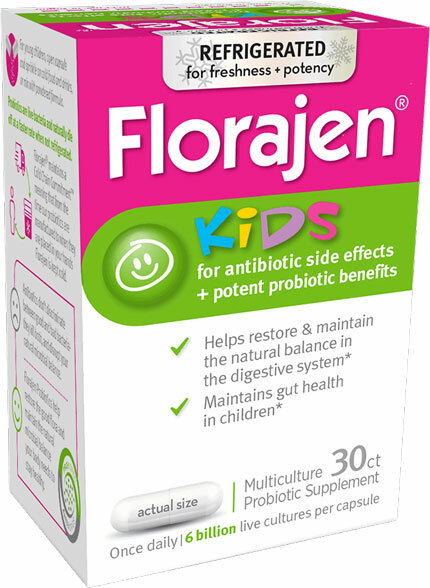 Learn more about the Florajen family of potent, safe, effective probiotics. Florajen probiotic supplements, designed by leading bacteriologists, excel in efficacy, consistency and customer satisfaction. 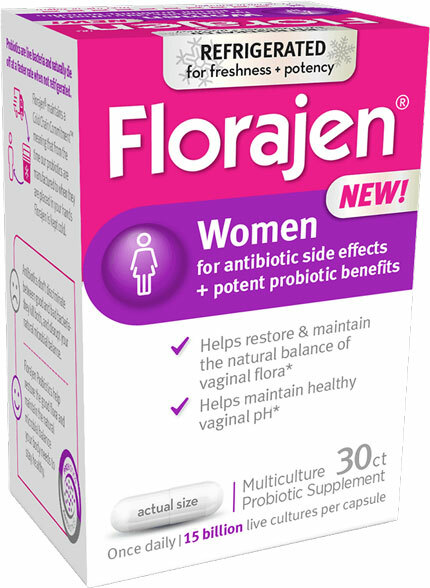 Each refrigerated capsule contains billions of live cultures (or 6+ billion for children) to help restore balance to the intestinal or vaginal tract.